Venue: 60 North Deeside Road, Peterculter, Aberdeen. Some experience is necessary. The Intermediate class is not a 'drop-in' class. £56.00 for eight-week block. In Meditation - Breathing - Sei Ki guidance. More details advertised six weeks before class. Format: Gyo Ki , Katsugen, Sei ki Guidance & Shiatsu. Organised three or four times per year. Prerequisite- Must have completed at least one six week Block or Attended a course of private sessions. 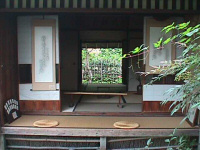 An opportunity to practise meditation and concentration while drinking and making tea in the Rakubon ceremony style. 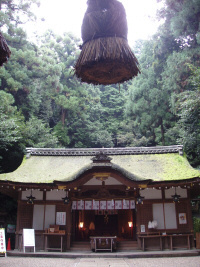 Zazen and Sutra chanting will make up this fascinating workshop. Anyone with an interest is welcome. A deposit of £20.00 will secure your place, the remainder is payable on the day. Numbers are limited to twelve participants. Please book early to avoid disappointment. The Foundation from time to time invites Internationally acclaimed teachers to Aberdeen.